With each step they take, the future of W&W is looking brighter. Establishing themselves as one of the fastest rising duo's in EDM, Willem van Hanegem and Ward van der Harst have found a gap in the wired world, growing as DJ's, producers and label owners. In 2011, the Dutch guys were ready for the next step: launching their very own Mainstage Music. A step proven to be the right one. 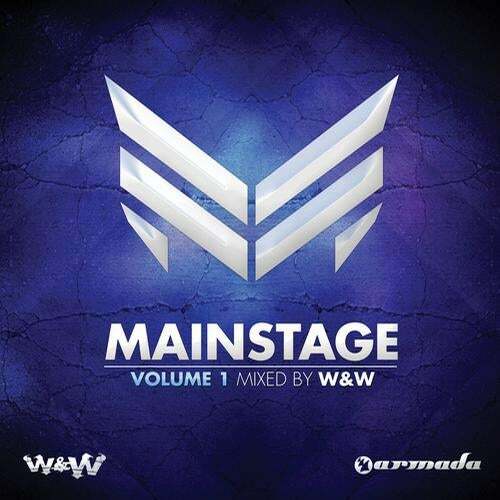 Four years after their very first release, W&W present their very own compilation: 'Mainstage 2012'.Though their career is young, it's no less than impressive. Clocking up gig after gig and success after hit, they've made a swift growth to mature artists. Rising to number 36 in the DJ Mag Top 100, W&W smashed into dance land with their ASOT550 anthem 'Invasion', the loud and banging 'Shotgun' and several other singles of their debut album 'Impact'. But the guys also have a keen ear for other talents within the scene. Through their bi-weekly Mainstage radio show, as well as their Mainstage Music, they reach out with tunes by some of the most promising and original producers that EDM has to offer today. 'Mainstage 2012' brings you the highlights of the fresh, new label, both past and future. Riding the beloved W&W sound - energetic, eclectic and highly contagious - the album takes you past tunes by the likes of Armin van Buuren, Dash Berlin, Hardwell, Marcel Woods, Ali Wilson, Orjan Nilsen, Wezz Devall, Husman and Omnia, as well as exclusive tunes, collaborations and remixes by the magnificent W&W.